A vast improvement over the original Galaxy Tab, the 10.1 uses the latest version of the Android operating system and is a 4G LTE mobile device. 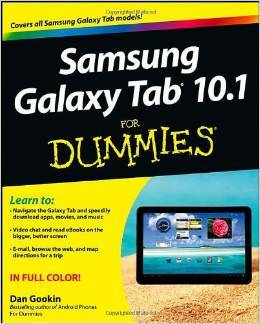 These upgrades-along with many others, including the better screen quality, better web browsing with Flash, and better multitasking capabilities-are all covered in this fun and friendly guide to the Samsung Galaxy Tab 10.1. Everything from how-to topics to the most useful features to helpful tricks and techniques, this practical guide shows you how to get the most out of this cutting-edge device.